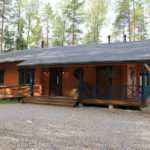 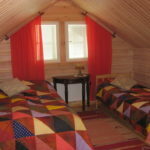 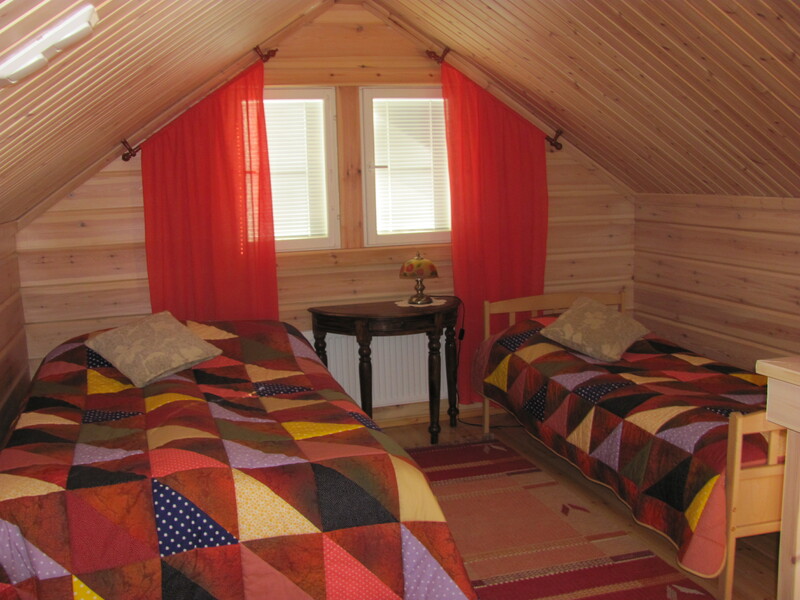 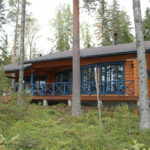 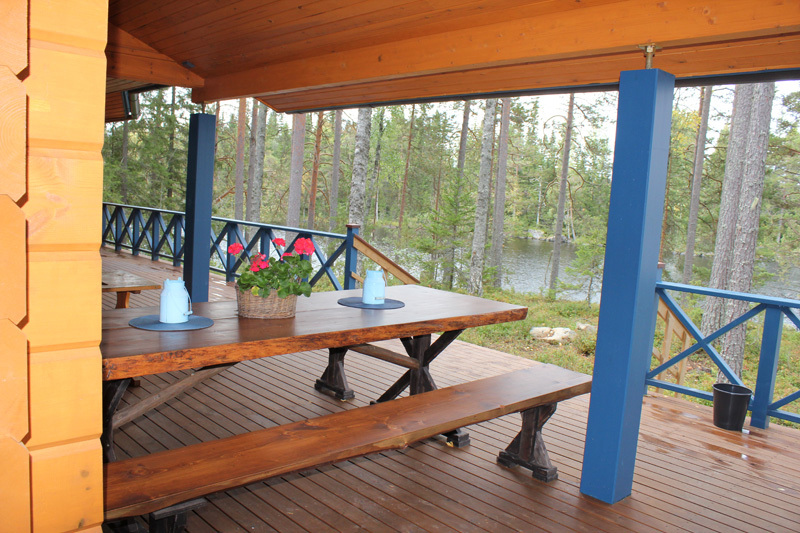 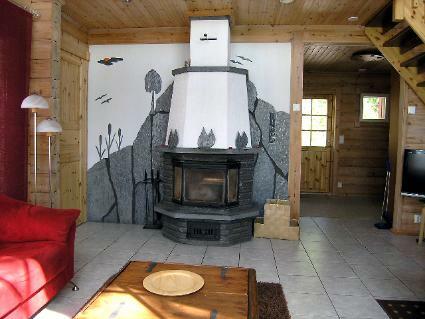 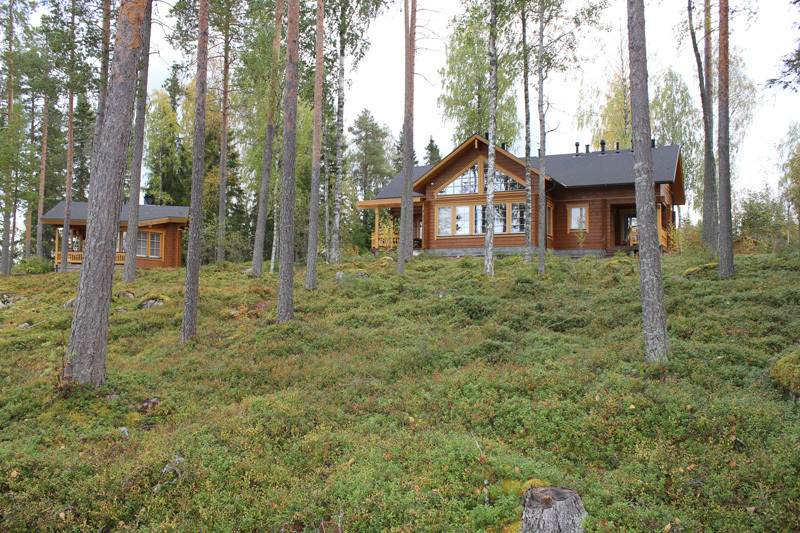 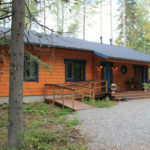 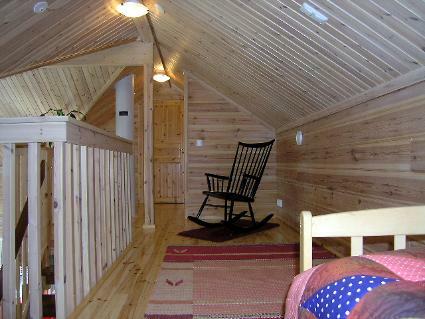 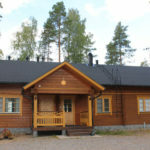 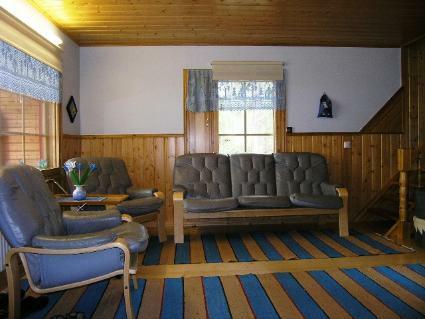 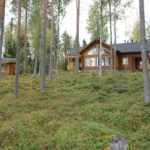 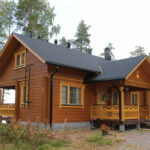 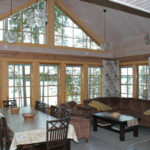 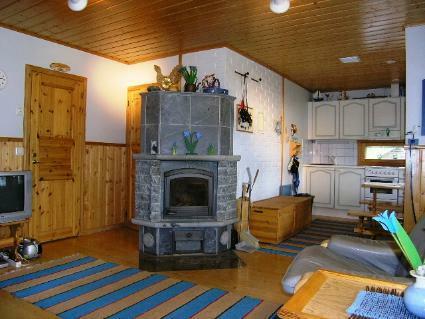 Kirmakka holiday cottages include three big, almost brand-new cottages and one smaller cottage. 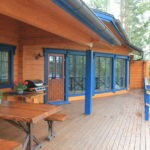 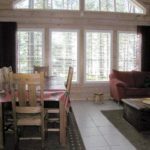 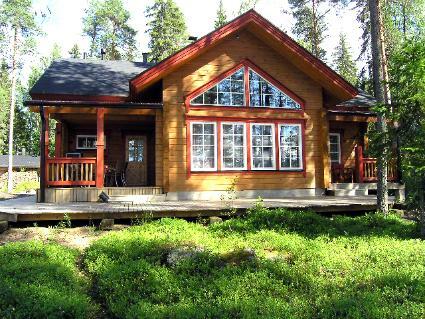 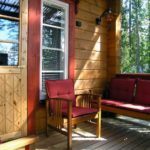 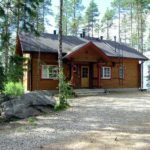 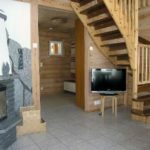 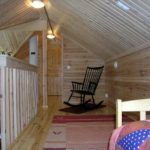 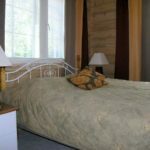 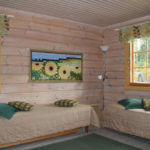 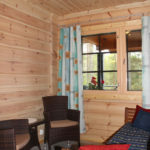 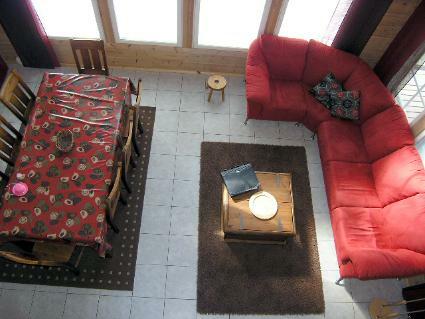 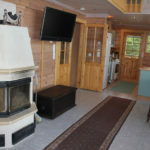 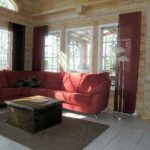 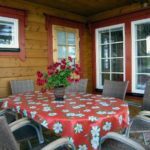 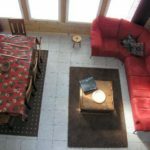 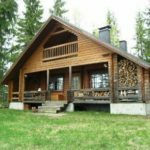 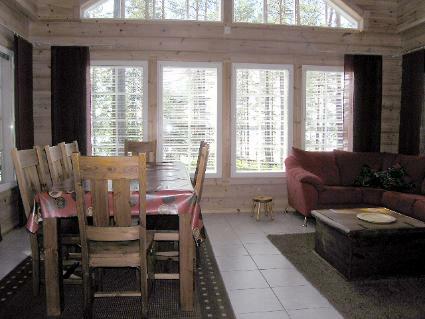 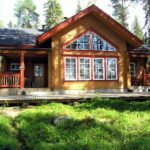 You can rent a cottage and relax with your loved-ones in the peaceful, breathtaking scenery or even organize a bigger family get-together using all three new cottages. 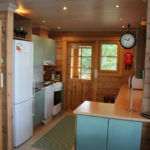 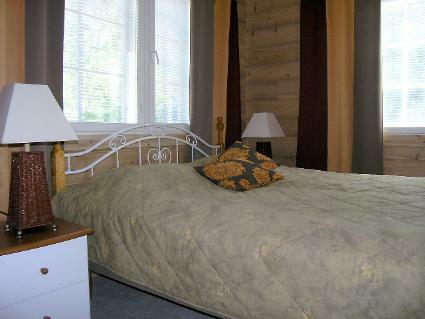 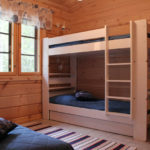 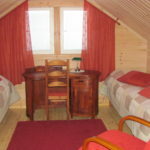 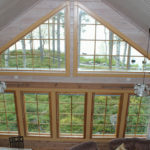 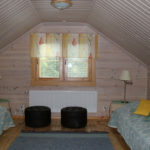 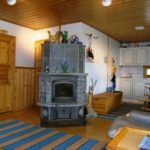 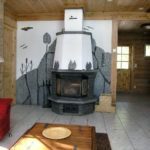 The cottages have an excellent level of equipment fit for every season. 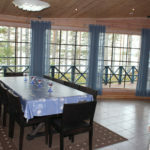 For example during December all the cottages have been dressed with Christmas decorations. 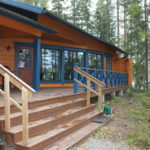 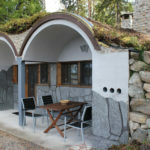 Find out more about Kirmakka cottages from below and contact us. 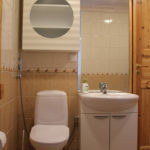 We will be happy to tell you more. 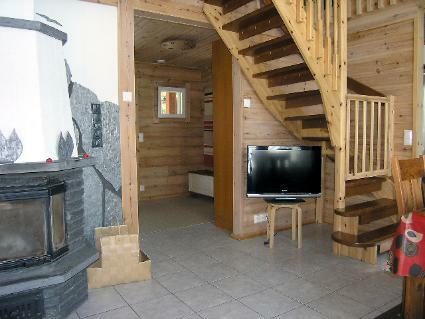 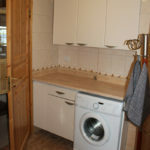 Well-equipped kitchen, loft, three bedrooms, WC upstairs, WC and a shower downstairs. 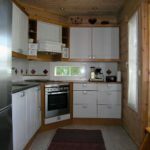 At your disposal: laundry machine, dishwasher, microwave, electrical beater, toaster, drying cabinet, hair dryer, ironing board and iron. 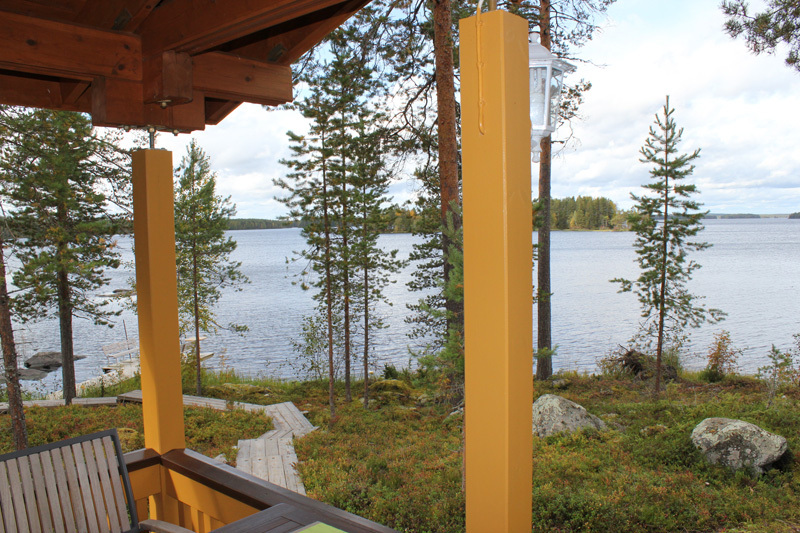 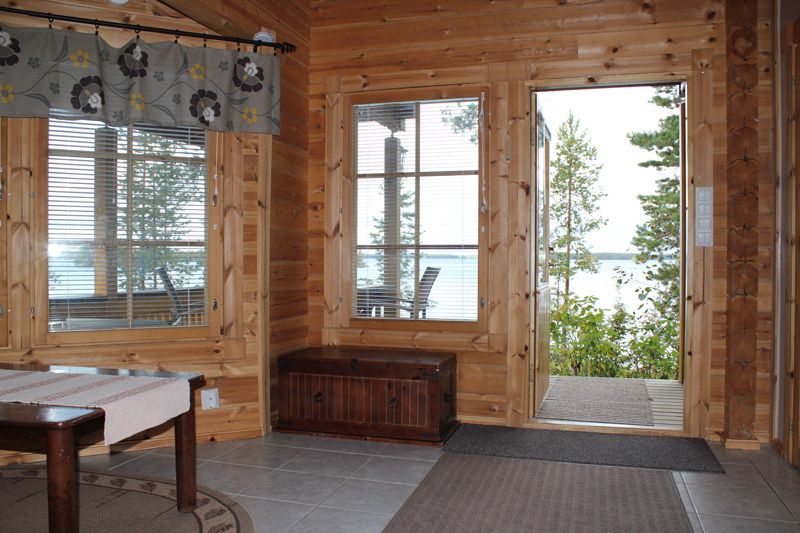 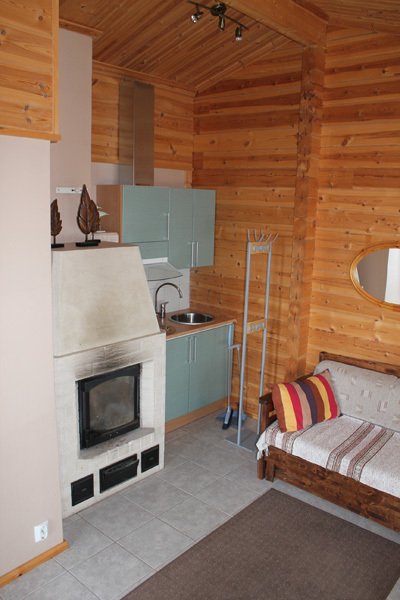 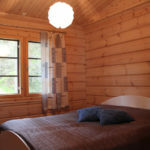 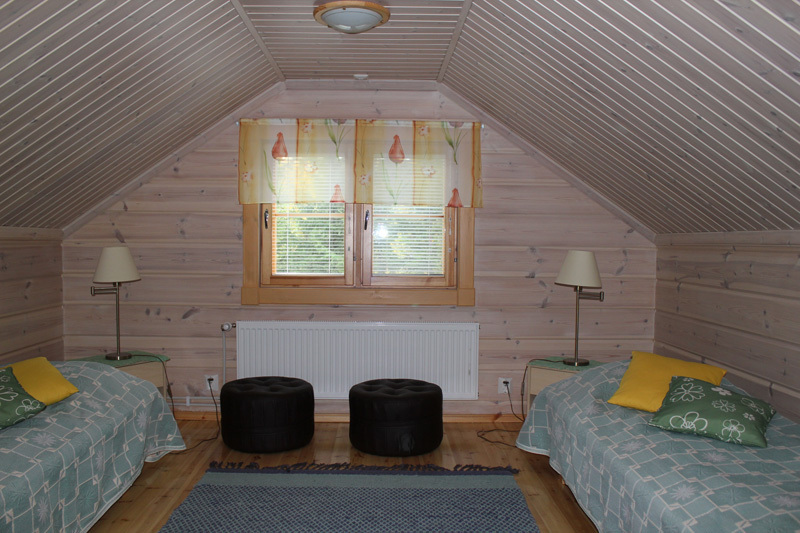 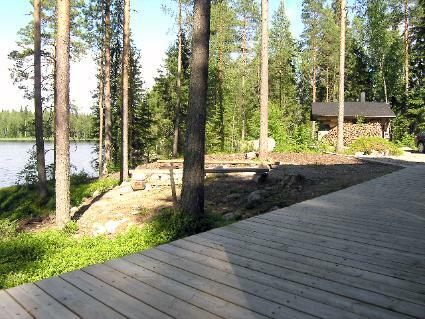 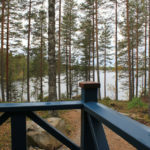 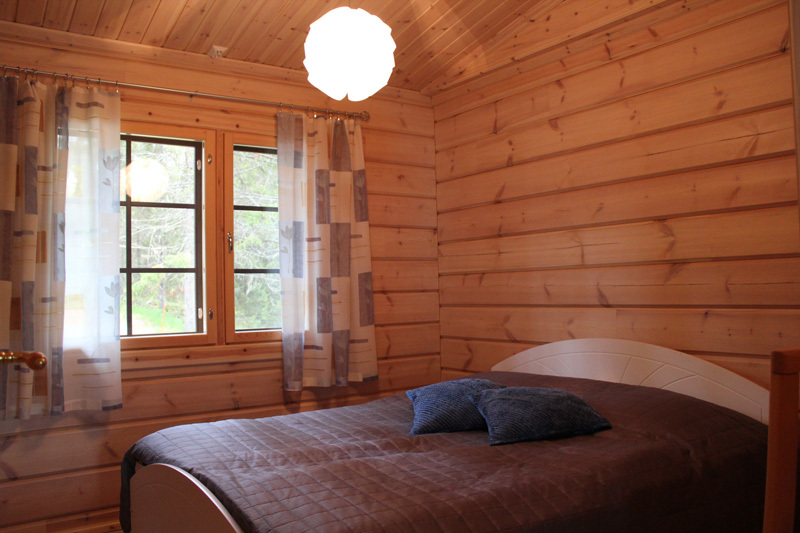 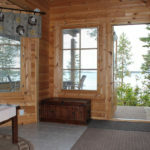 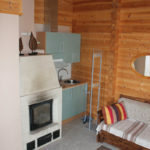 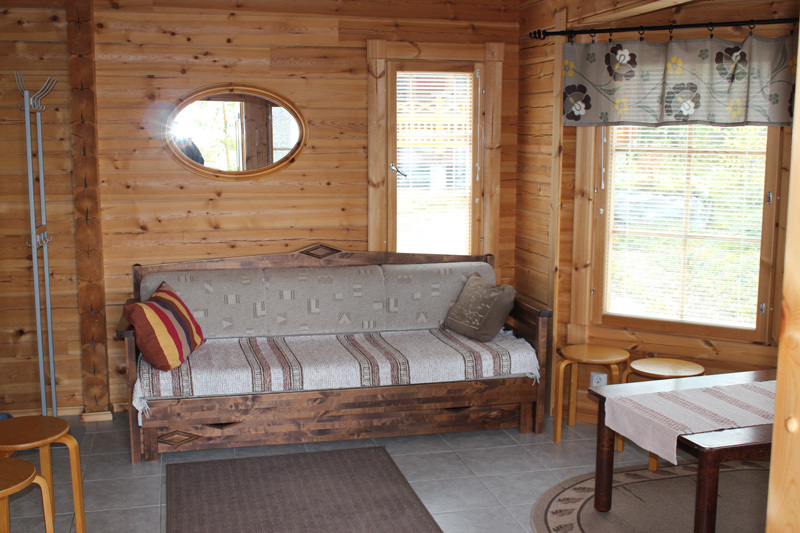 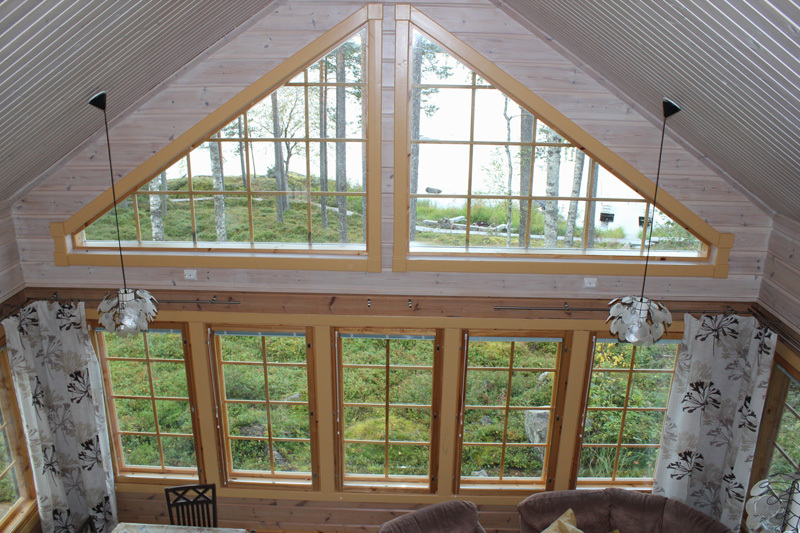 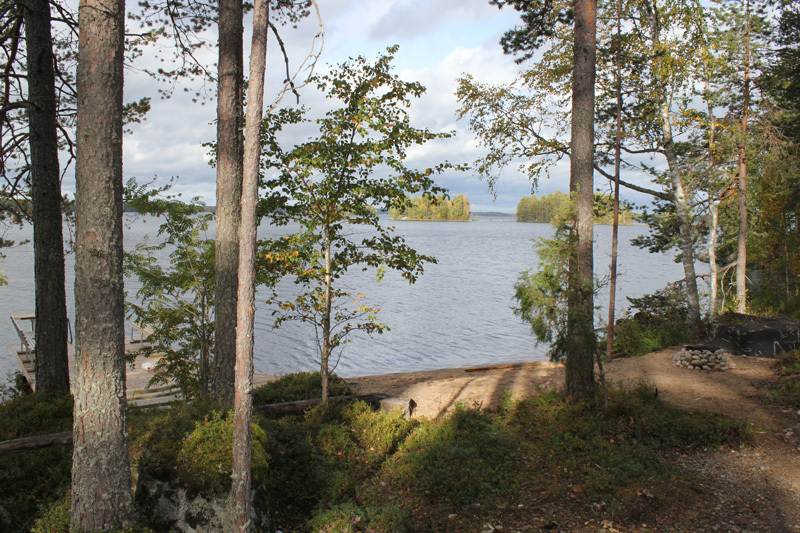 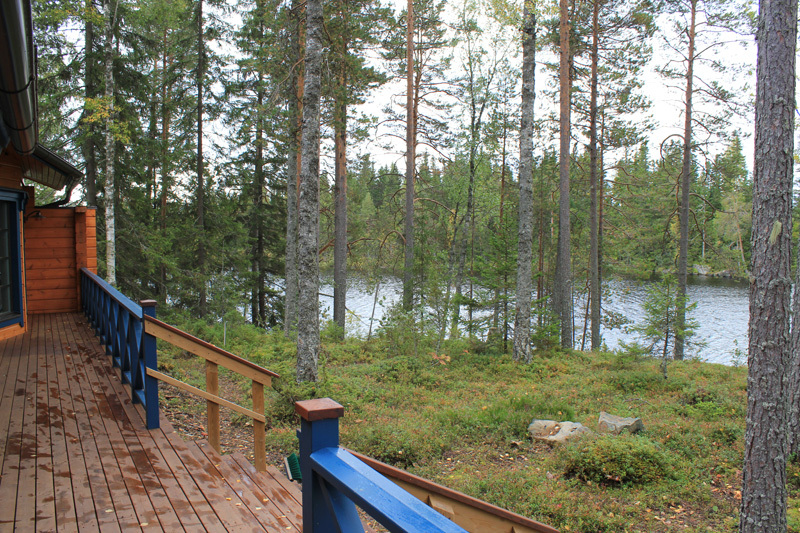 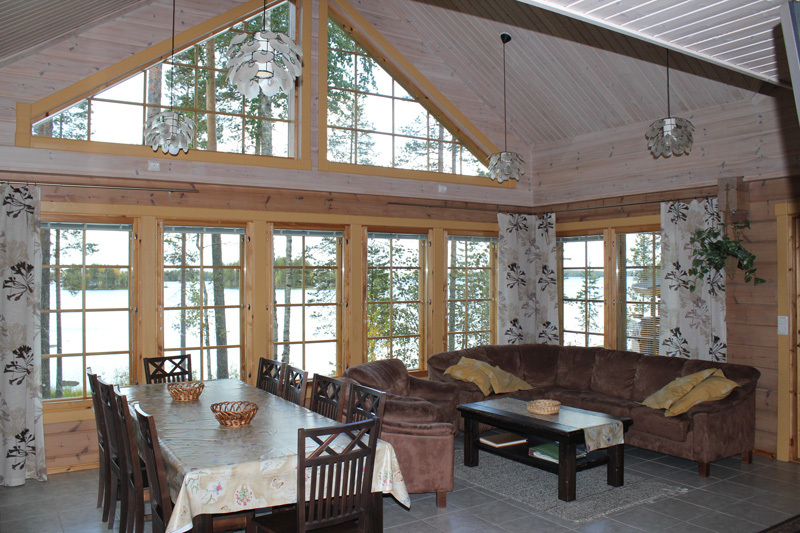 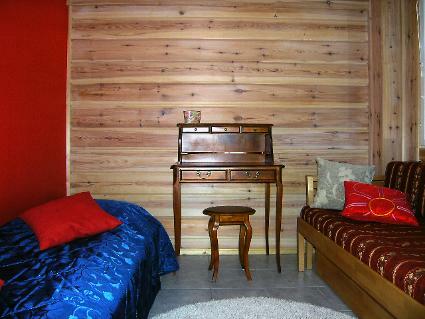 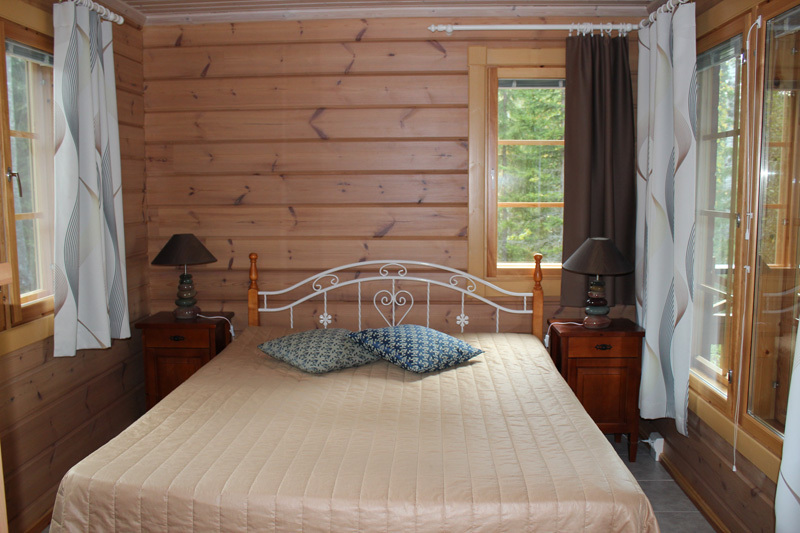 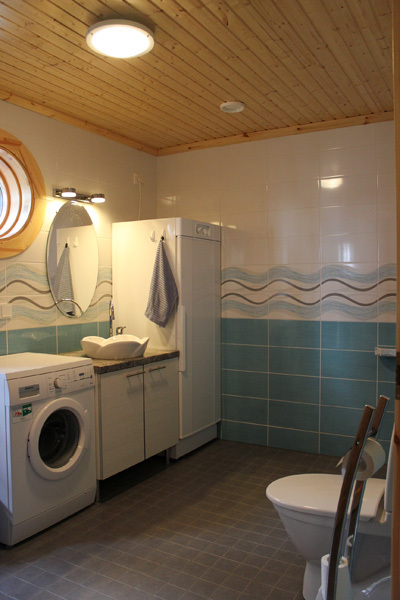 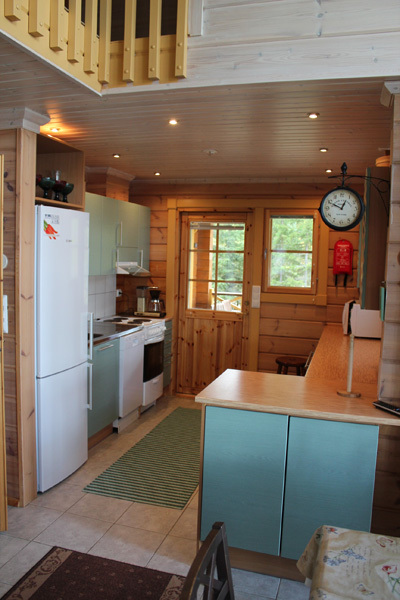 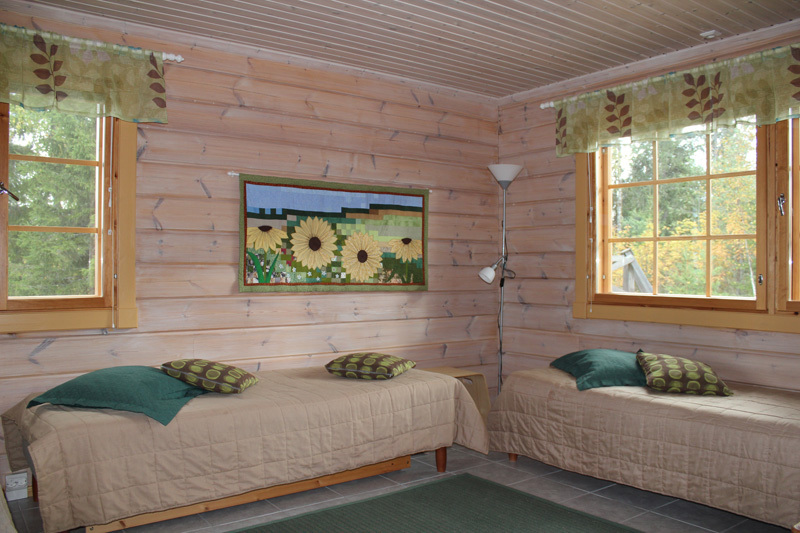 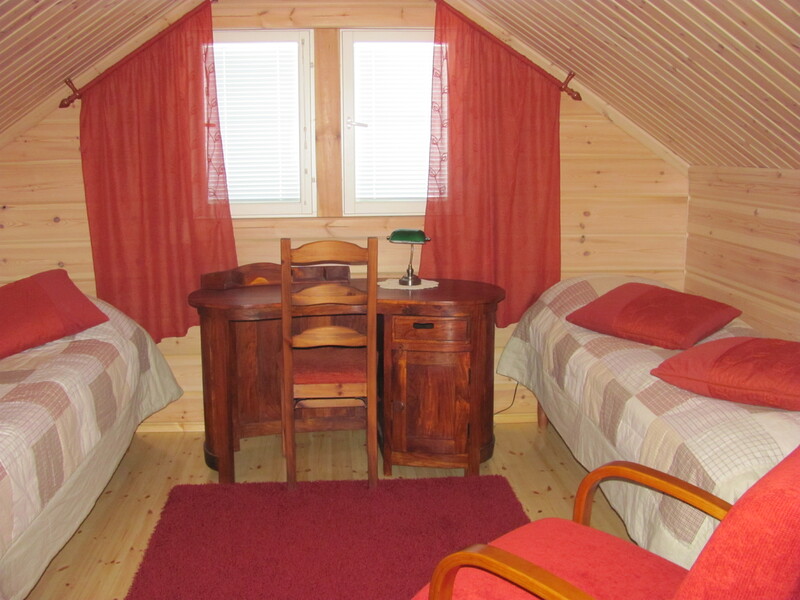 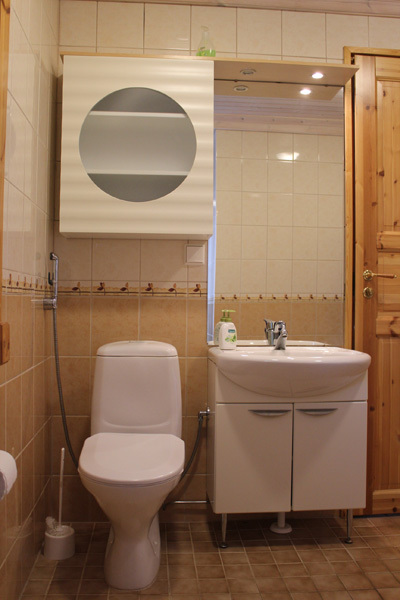 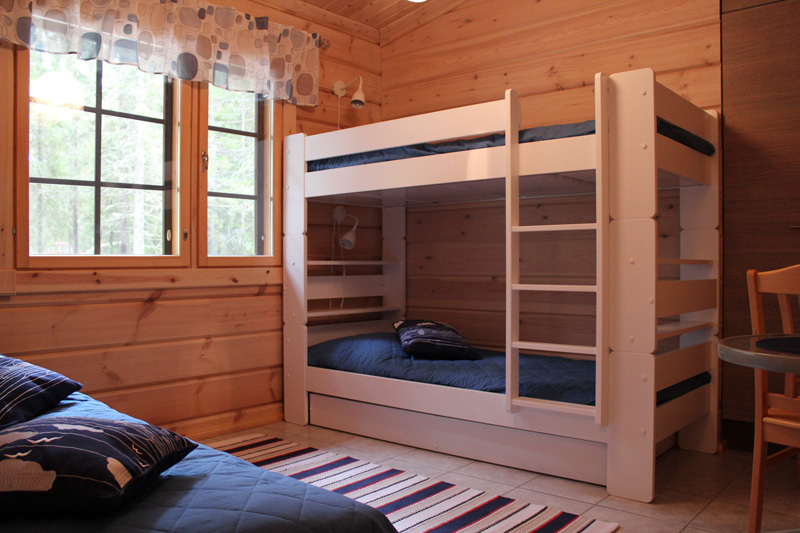 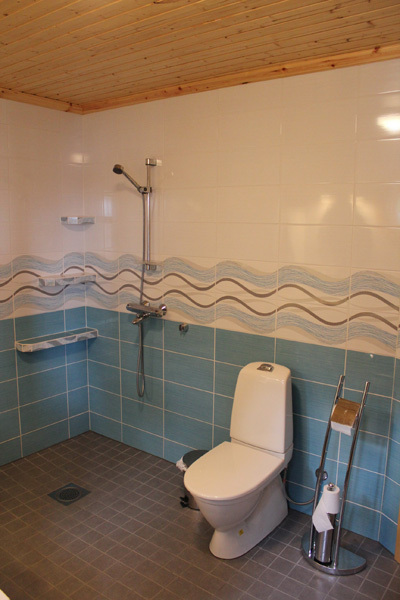 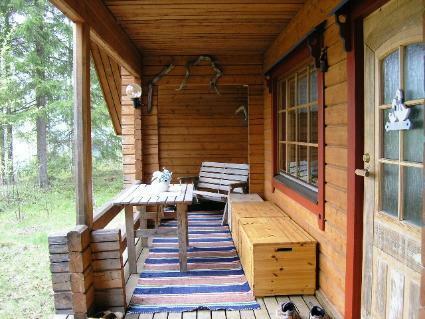 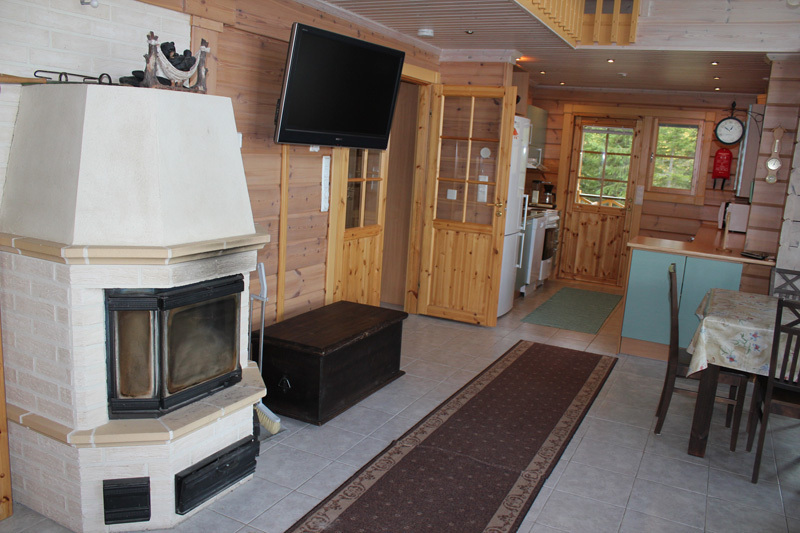 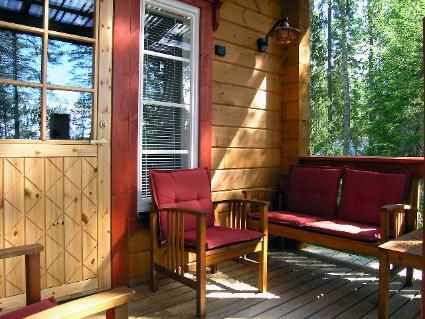 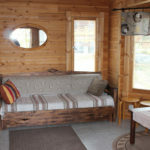 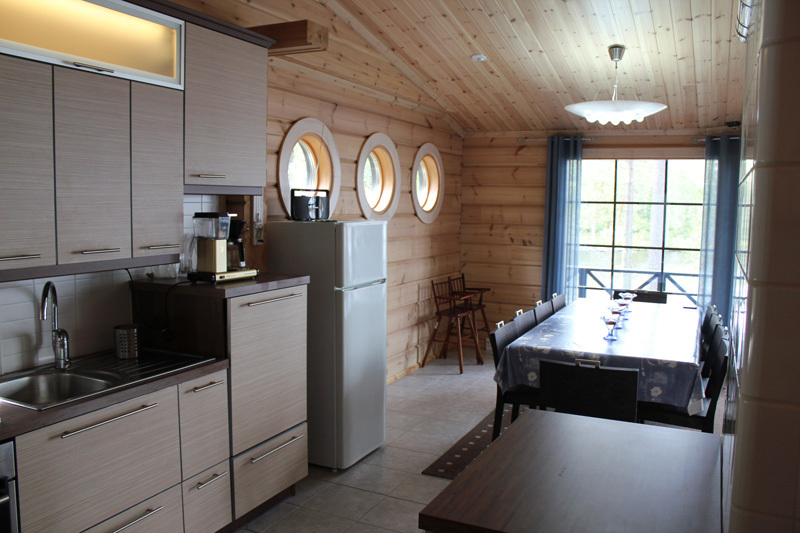 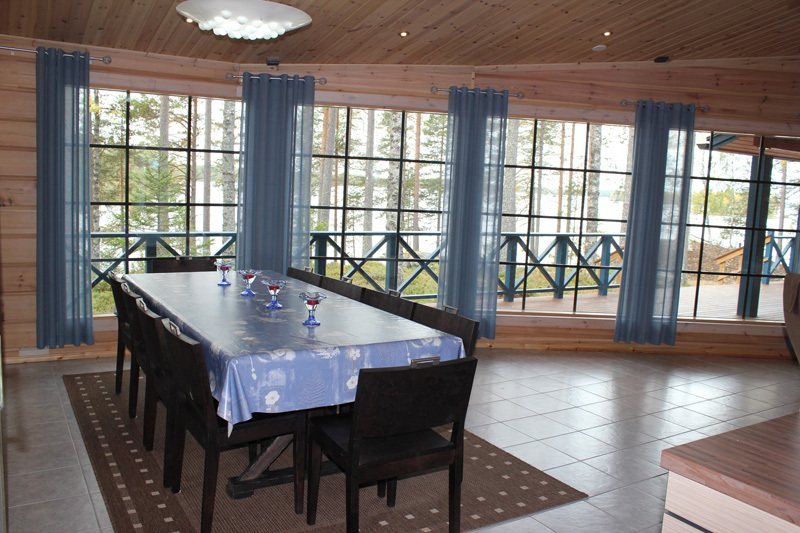 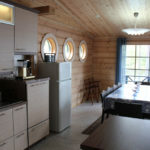 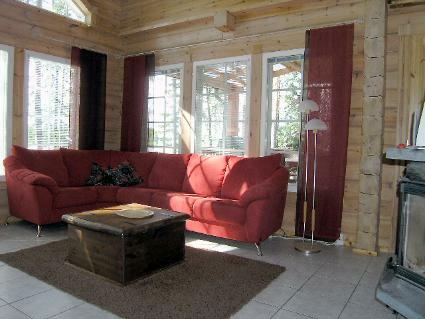 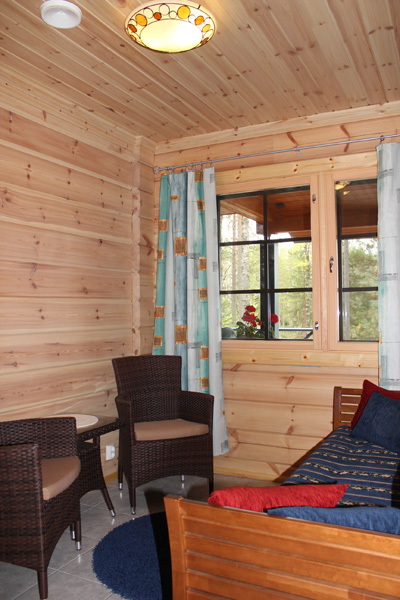 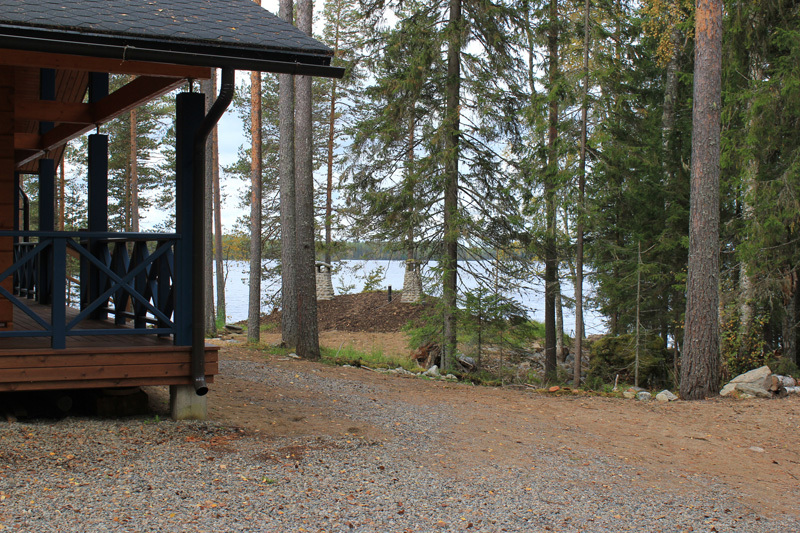 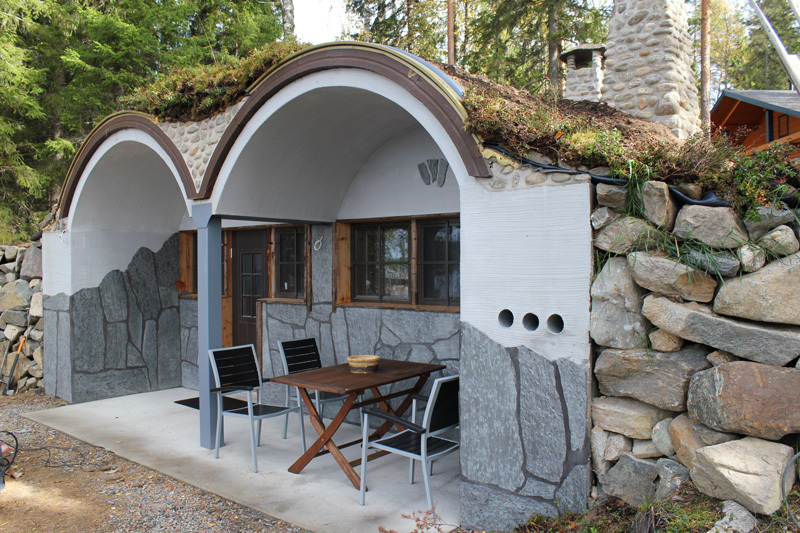 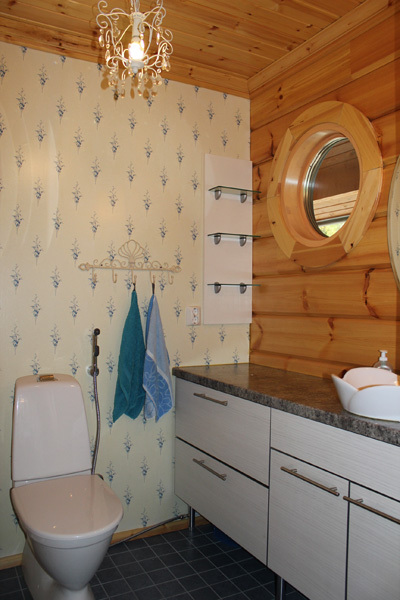 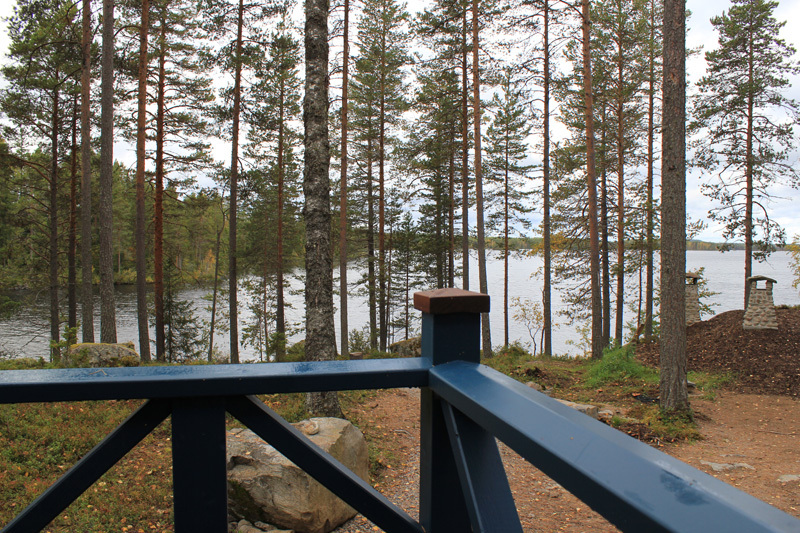 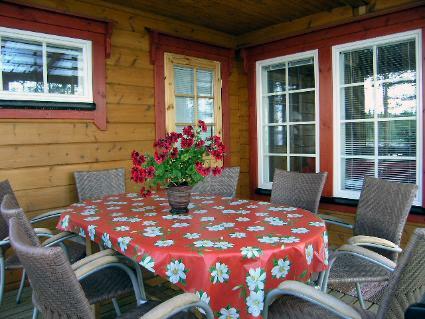 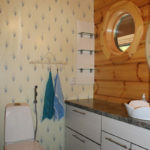 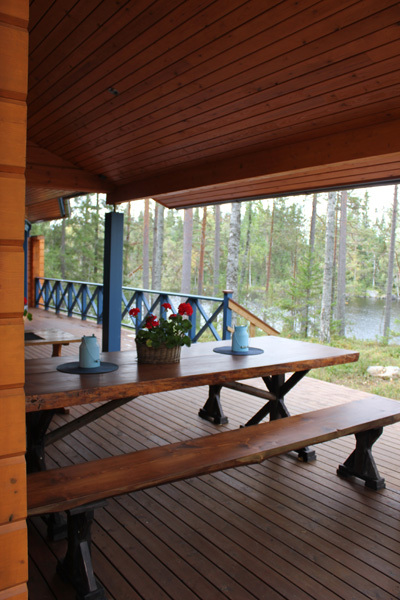 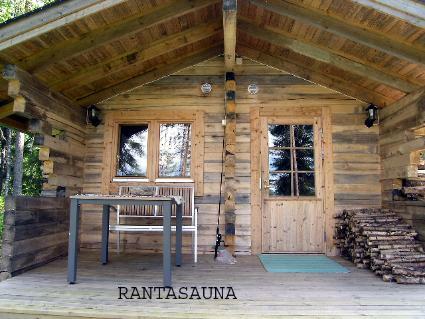 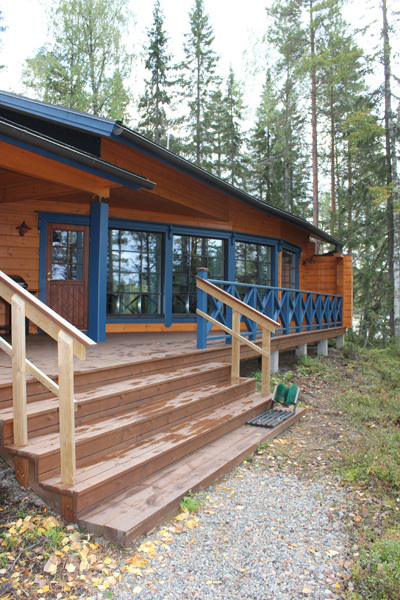 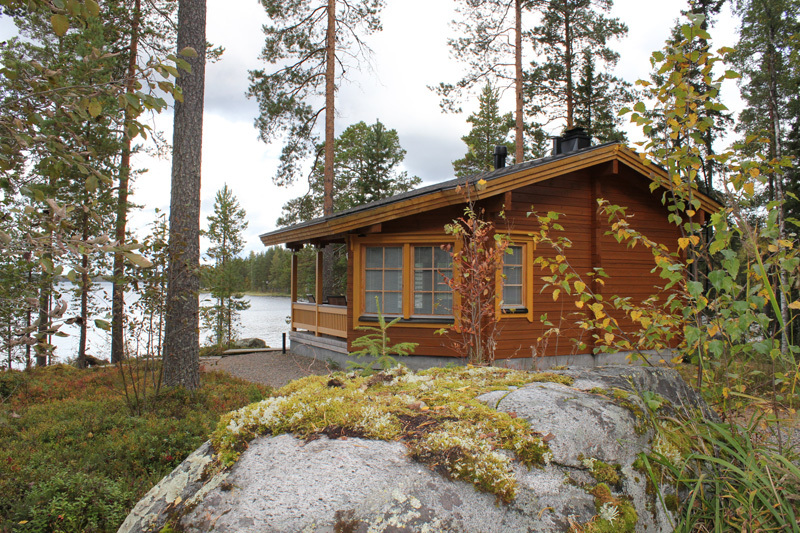 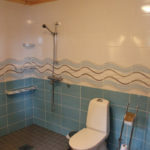 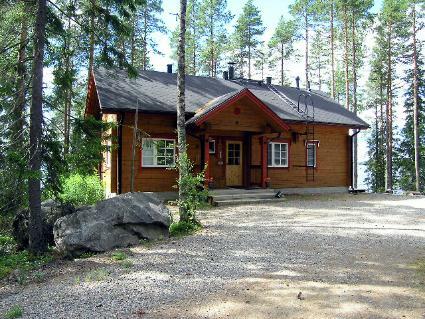 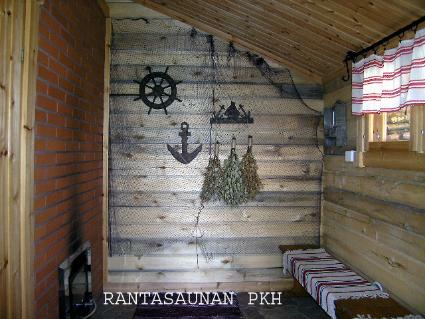 Spacious lakeside sauna, with a dressing room that is also suited for spending the night. 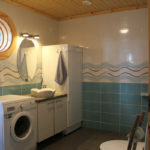 Equipment also includes: radio/cd-player, dishwasher, microwave oven, laundry machine, drying cabinet, hair dryer, electrical beater, toaster, dish set for 12 persons. 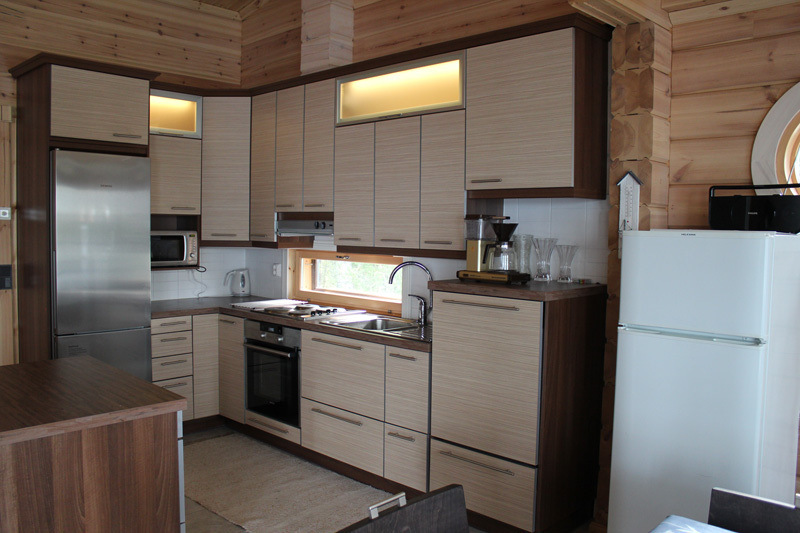 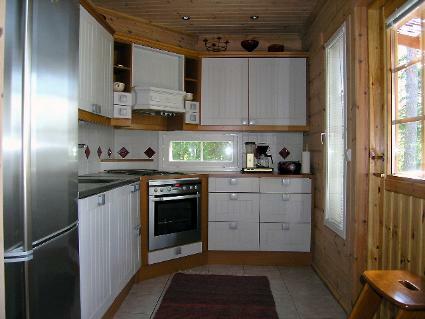 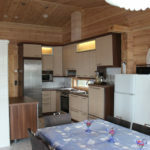 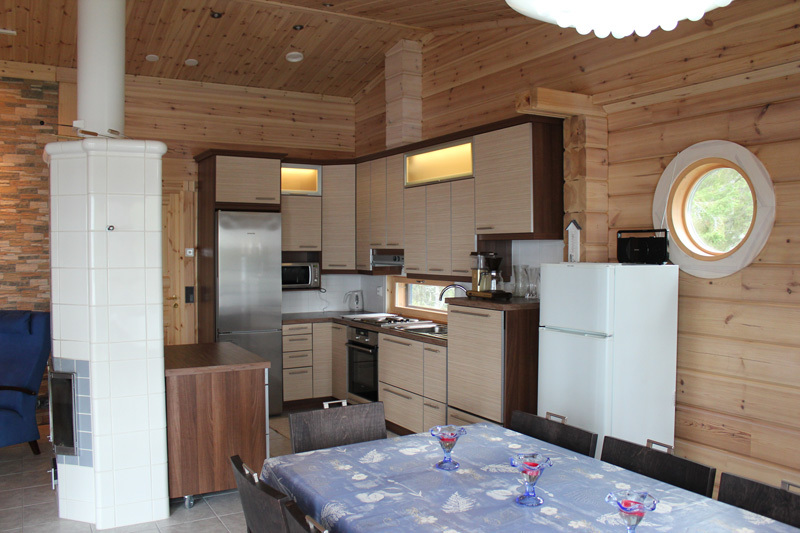 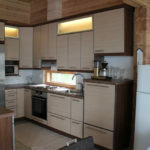 Extremely spacious kitchen (49m2), perfect f. ex. 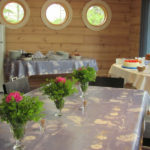 parties, conferences etc. 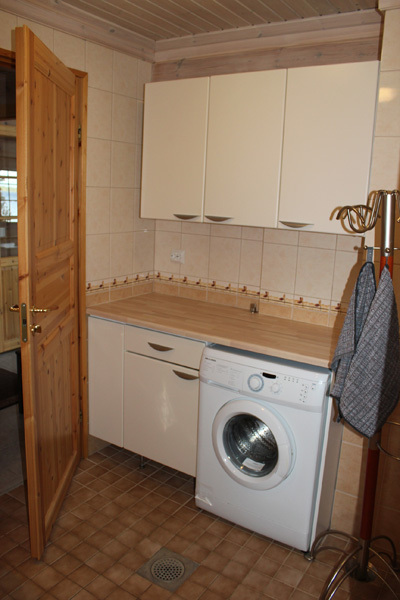 At your disposal: laundry machine, 2 fridges, dishwasher, microwave, electrical beater, toaster, drying cabinet, hair dryer, ironing board and iron. 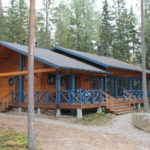 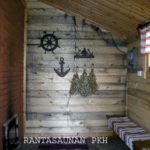 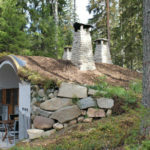 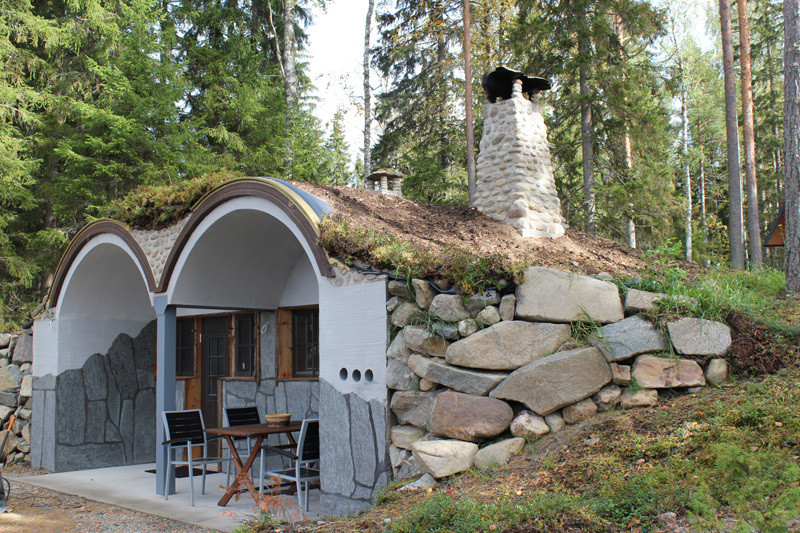 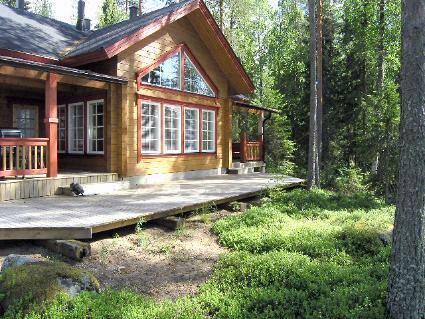 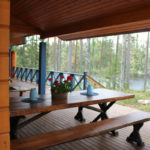 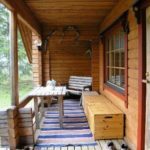 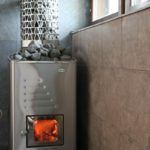 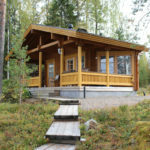 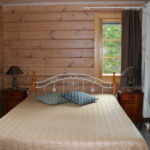 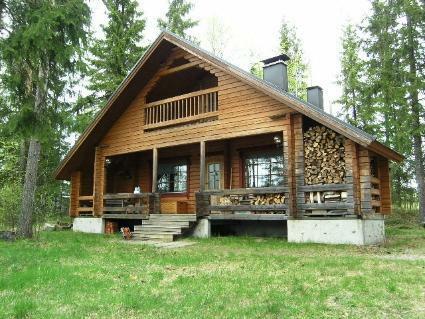 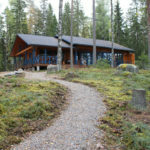 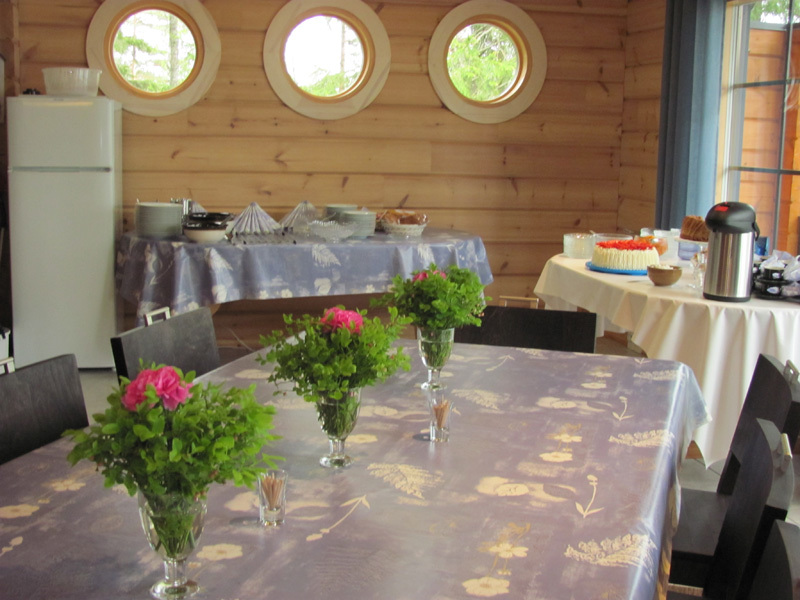 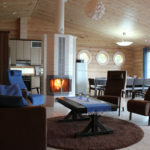 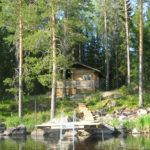 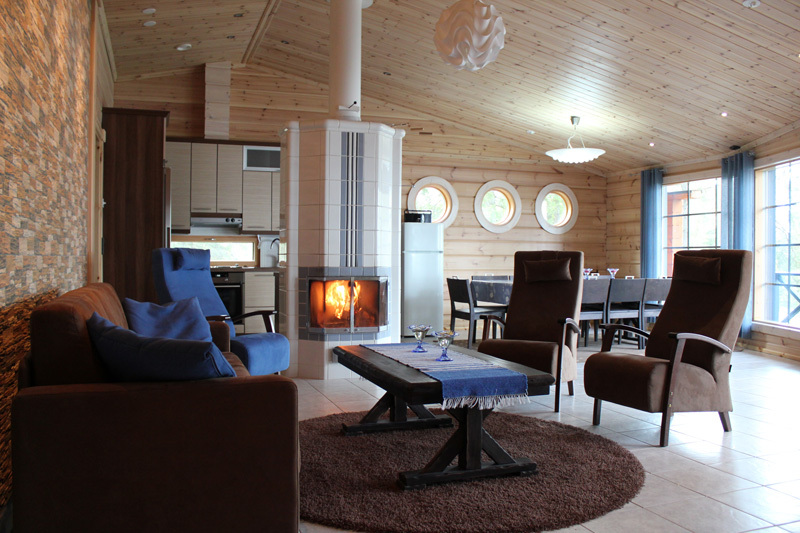 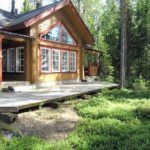 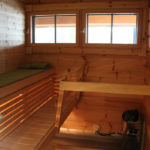 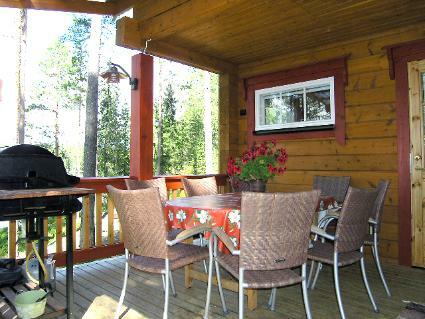 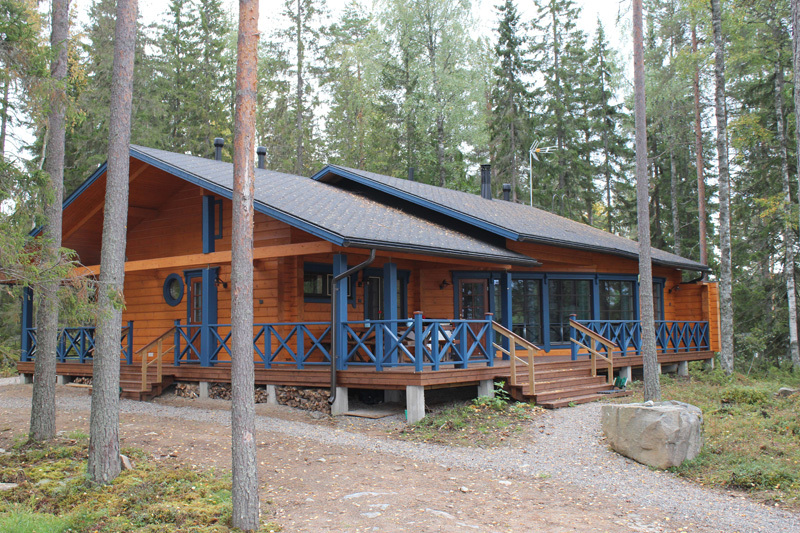 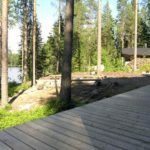 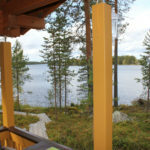 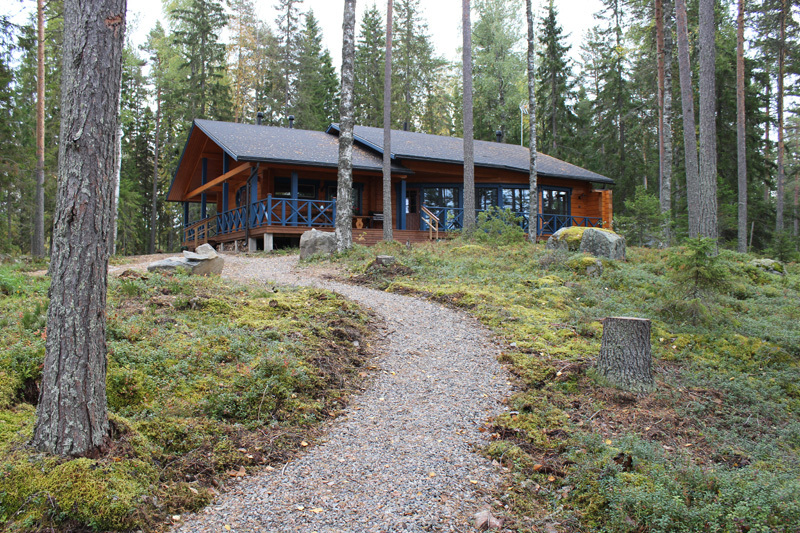 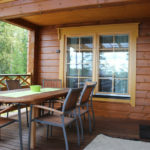 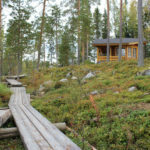 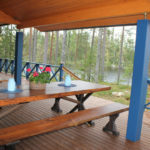 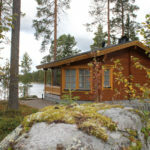 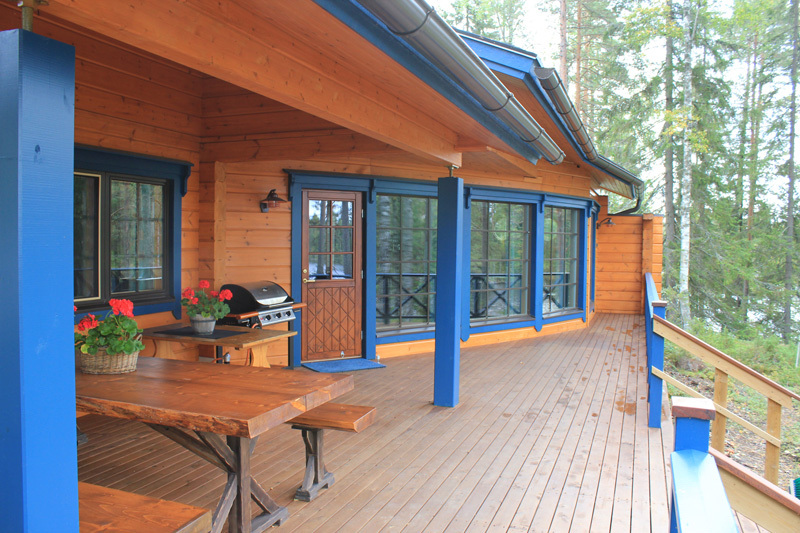 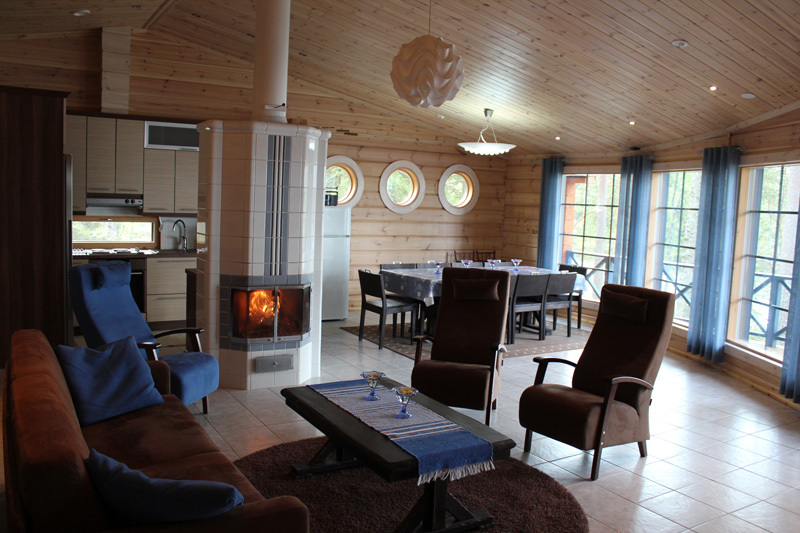 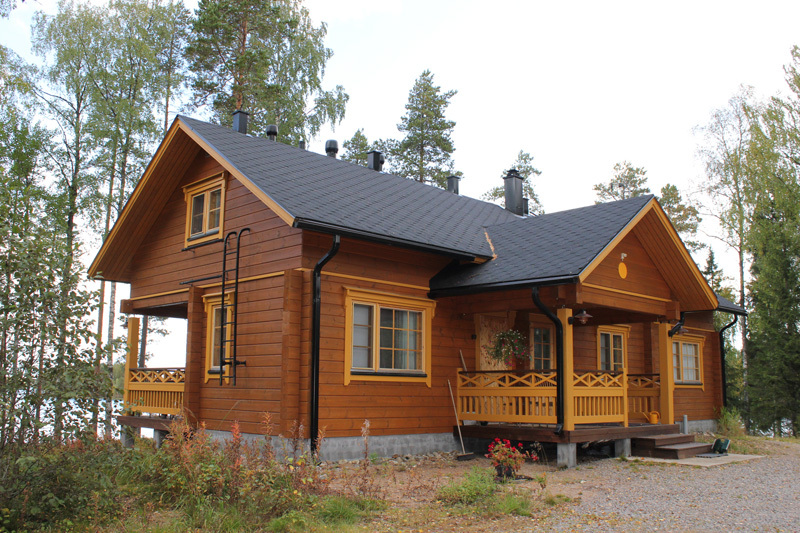 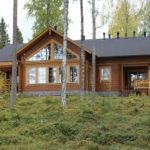 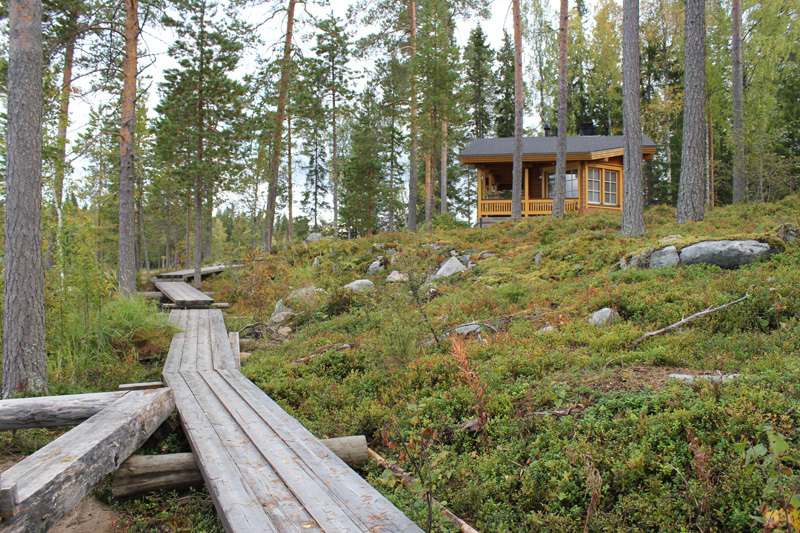 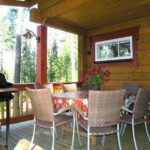 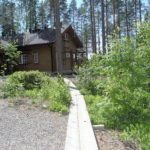 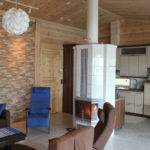 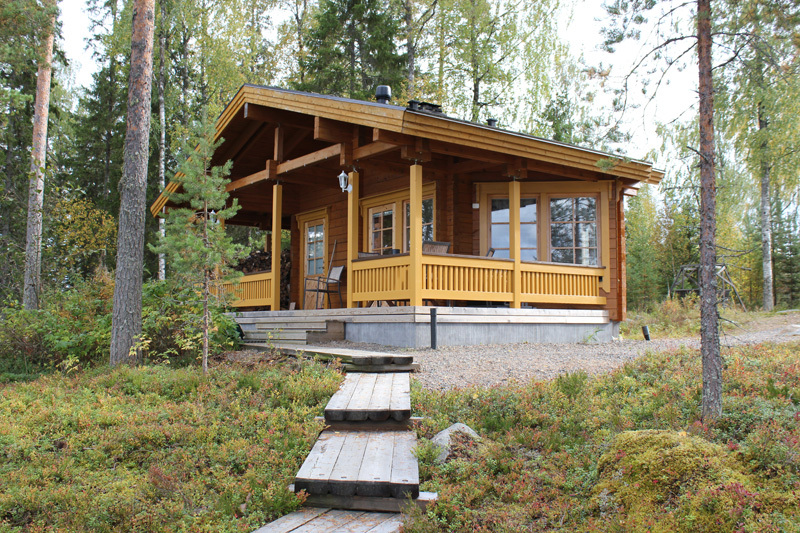 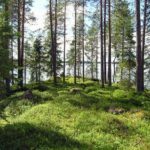 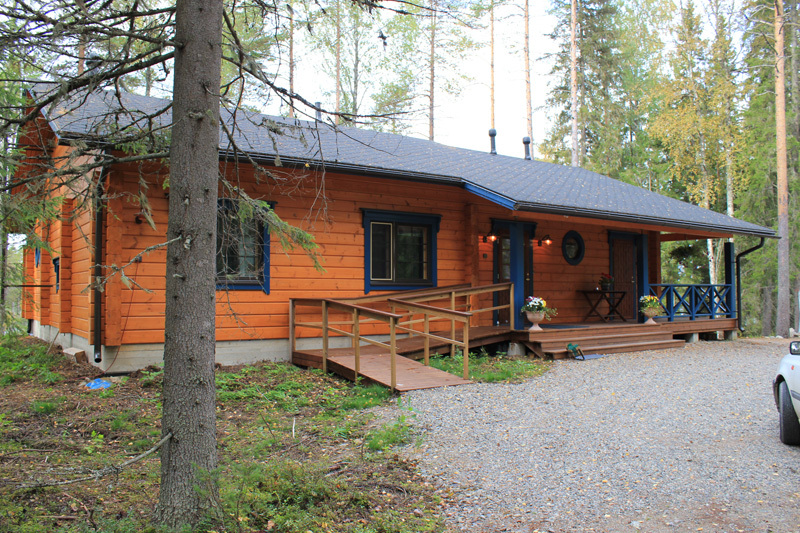 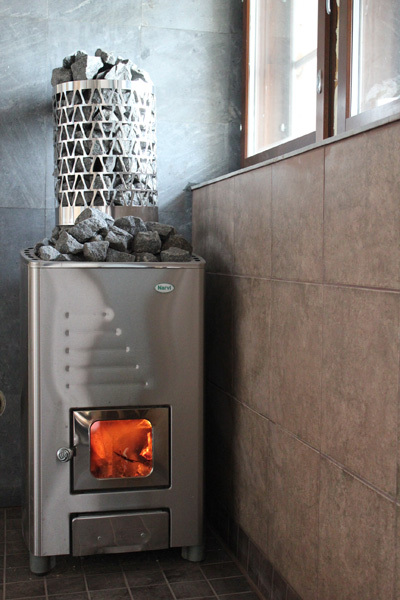 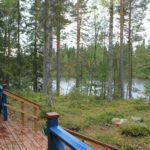 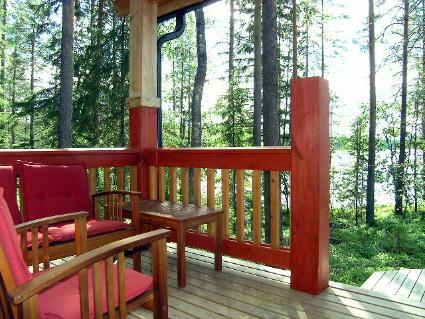 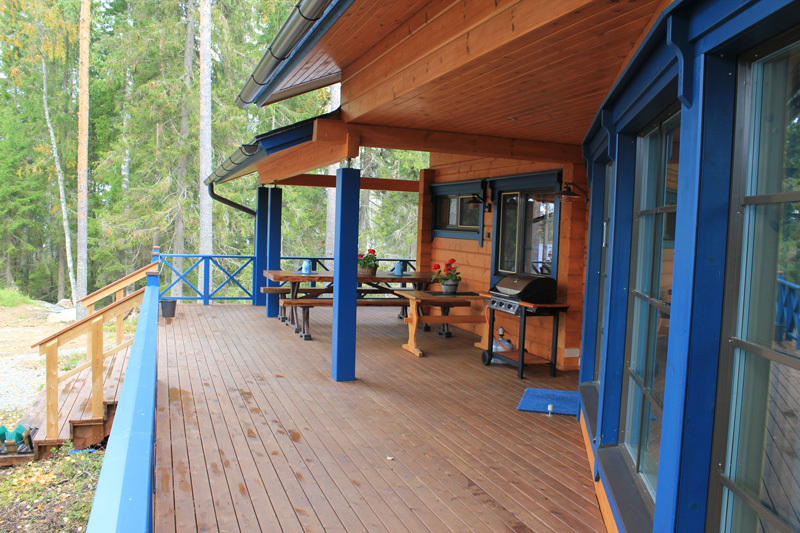 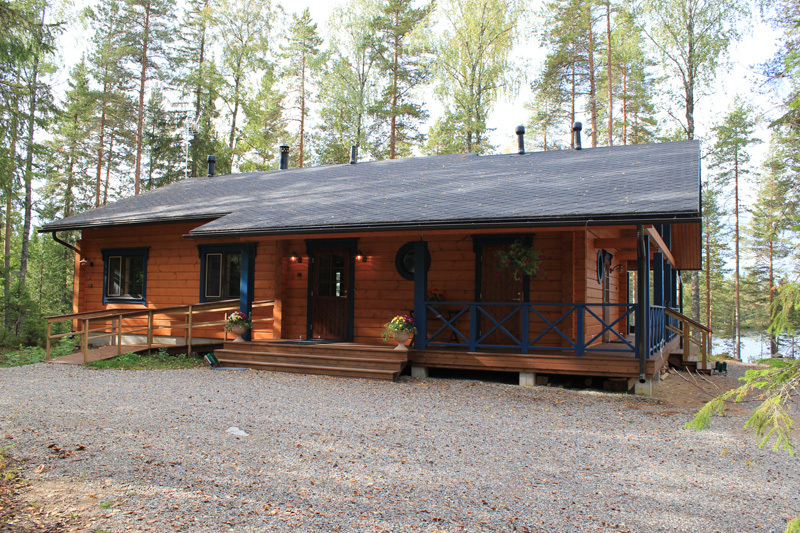 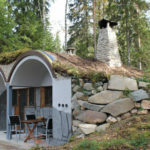 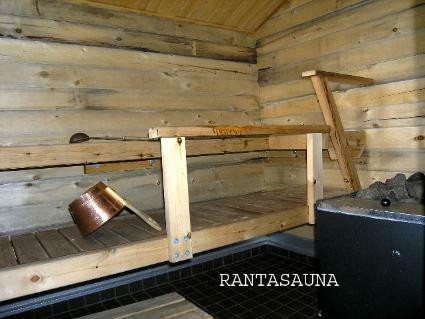 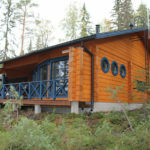 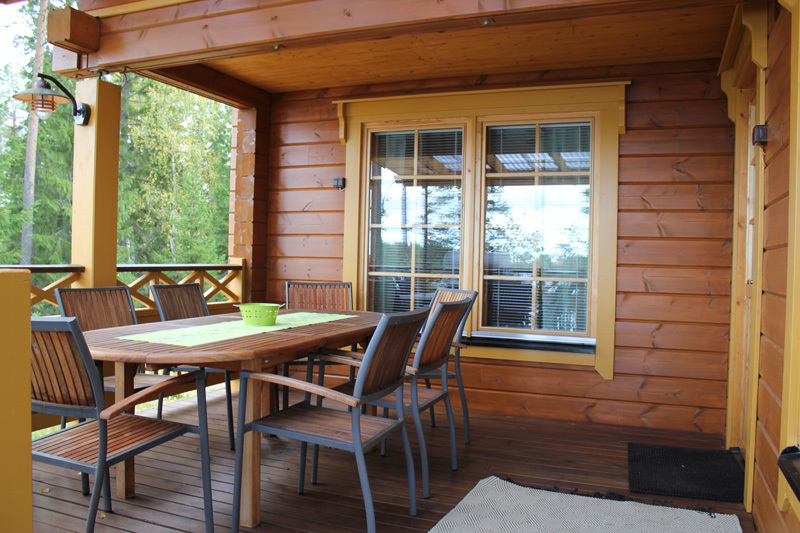 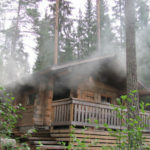 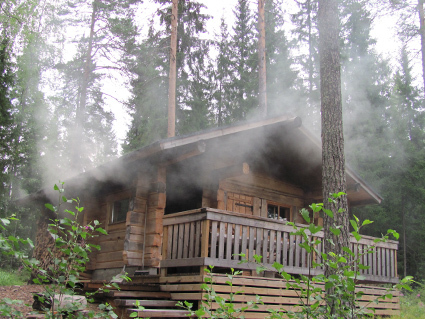 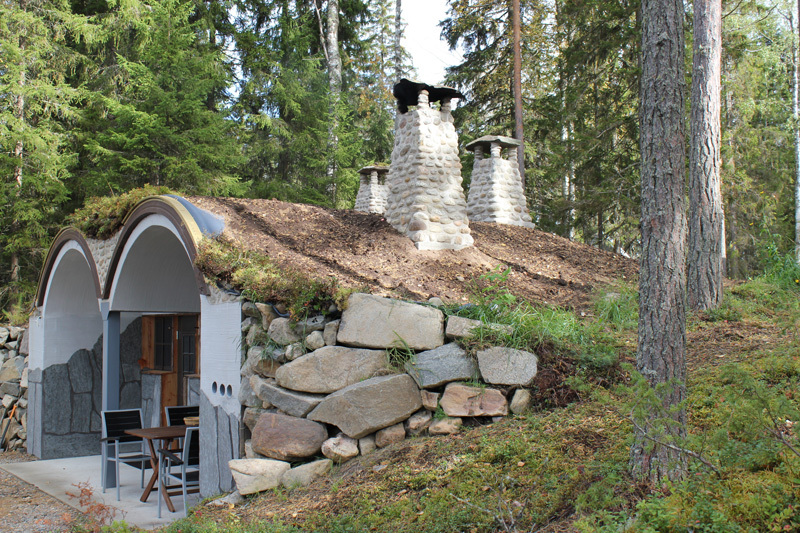 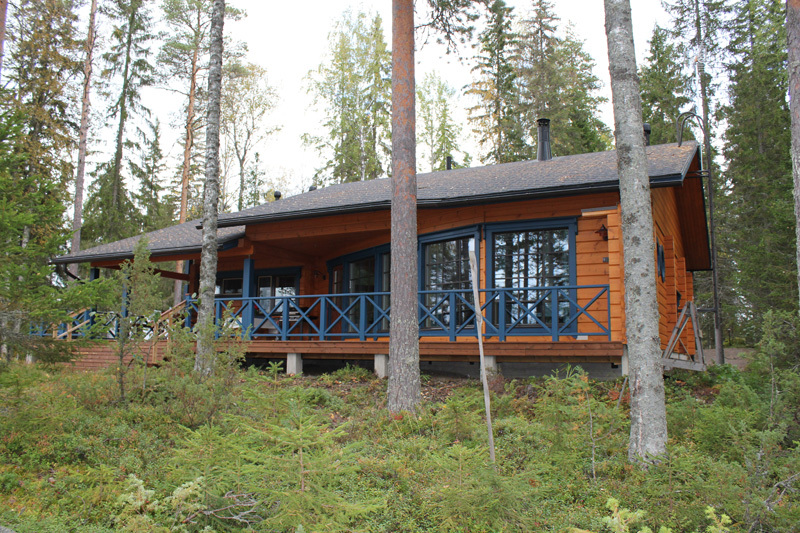 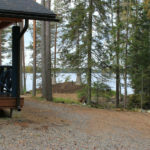 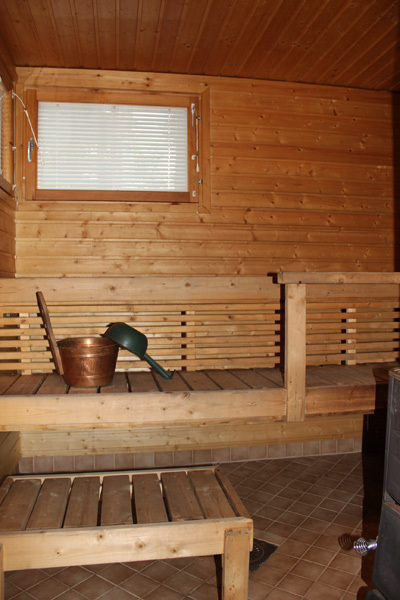 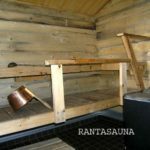 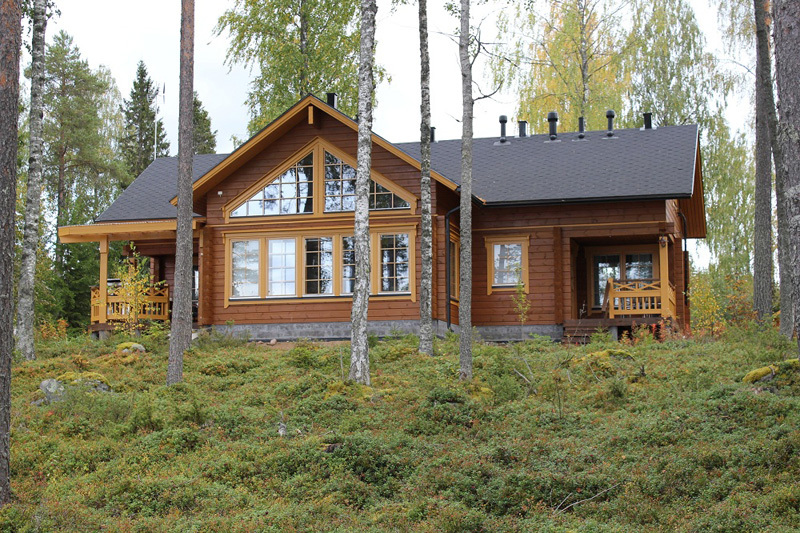 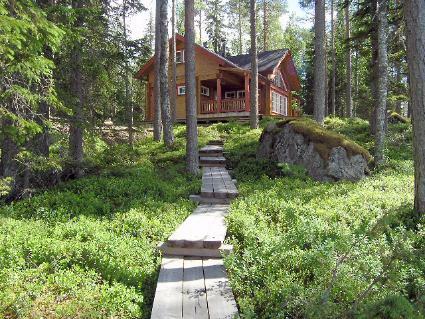 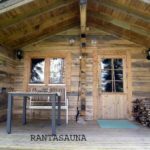 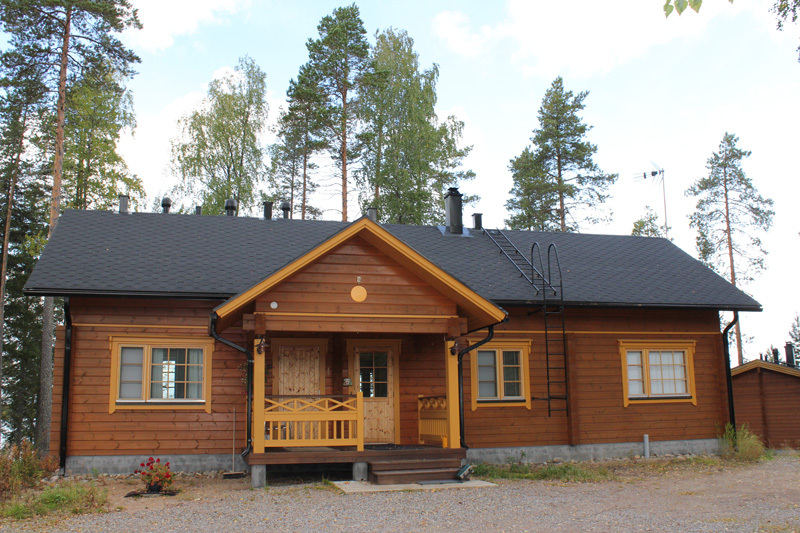 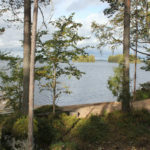 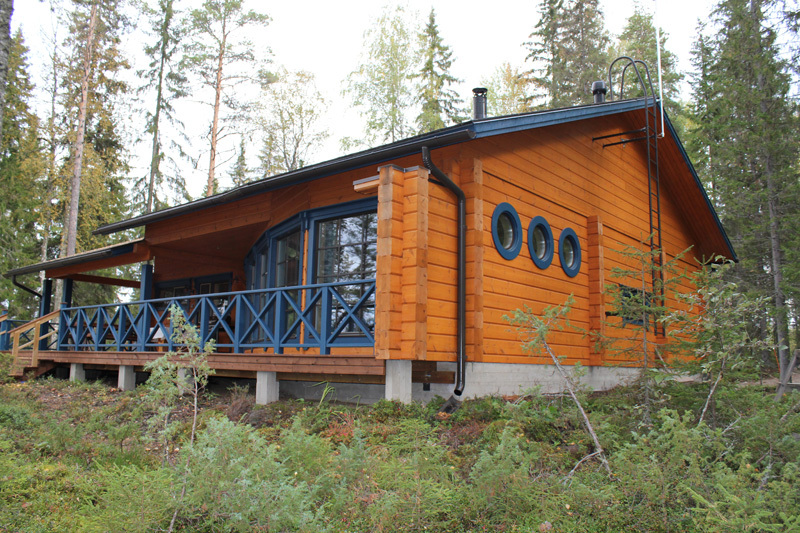 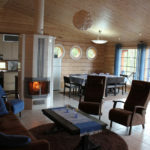 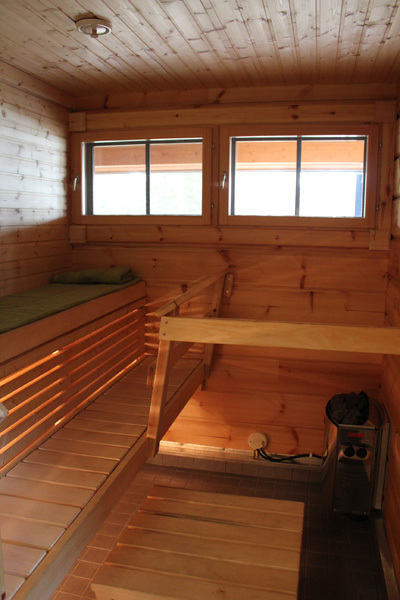 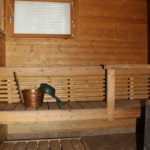 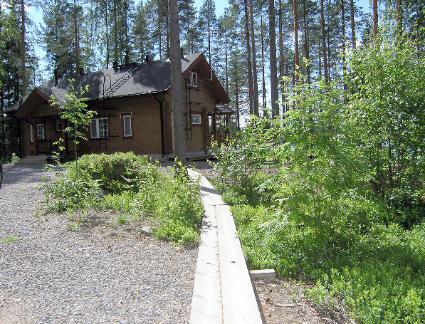 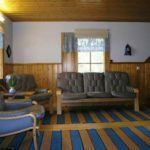 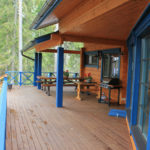 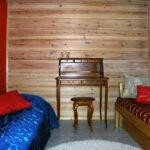 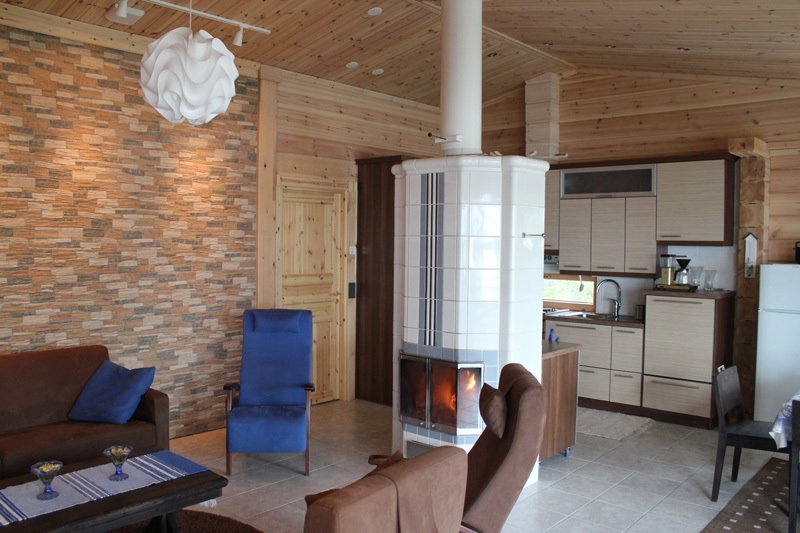 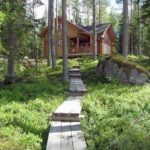 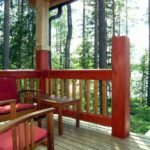 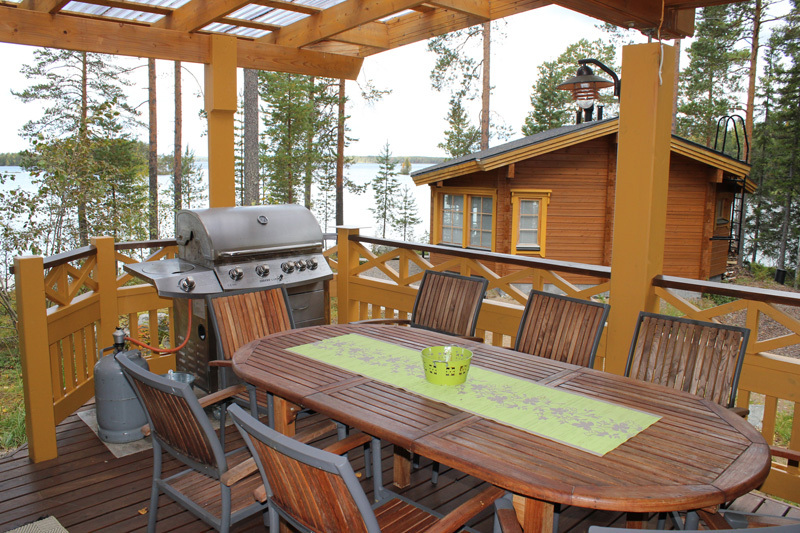 Would you like to enjoy the soft sauna heat in a traditional Finnish smoke sauna? 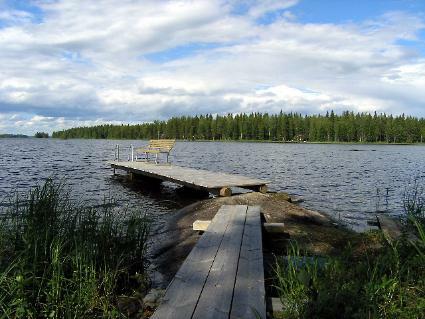 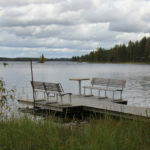 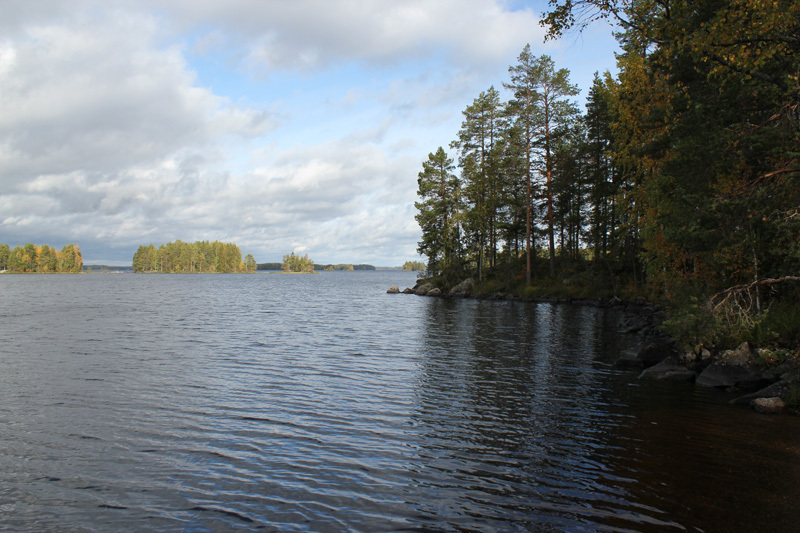 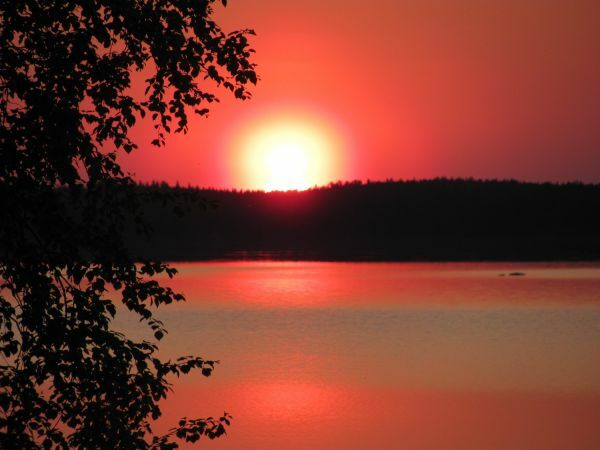 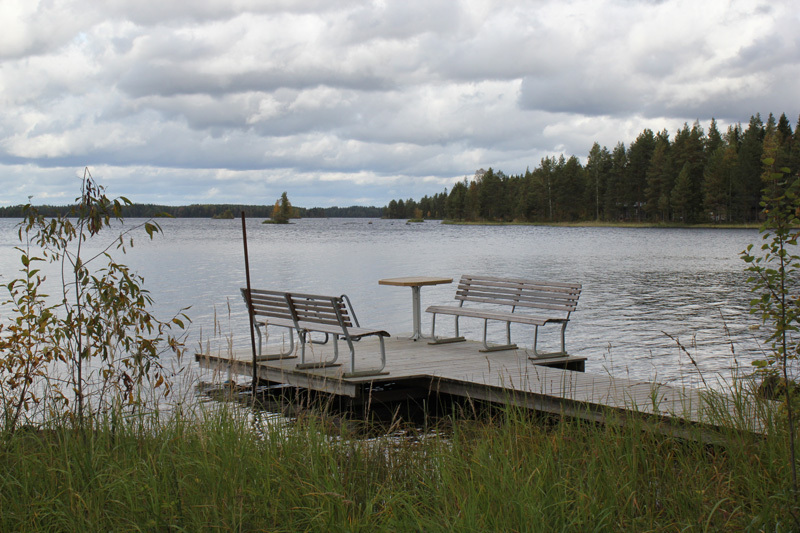 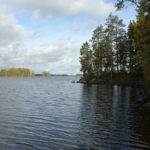 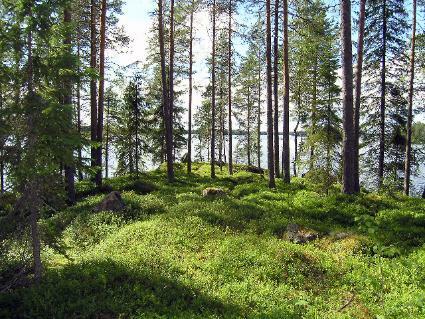 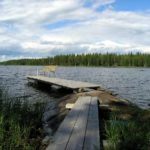 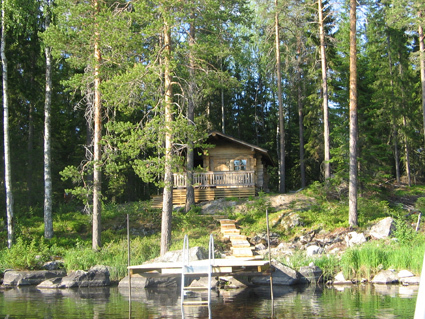 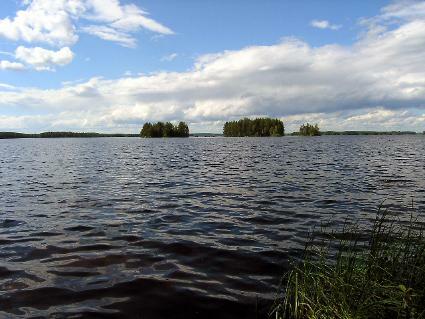 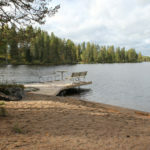 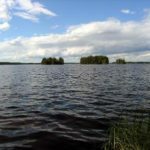 During the summer you can dive into the cool waters of Koivujärvi-lake after the sauna heat. 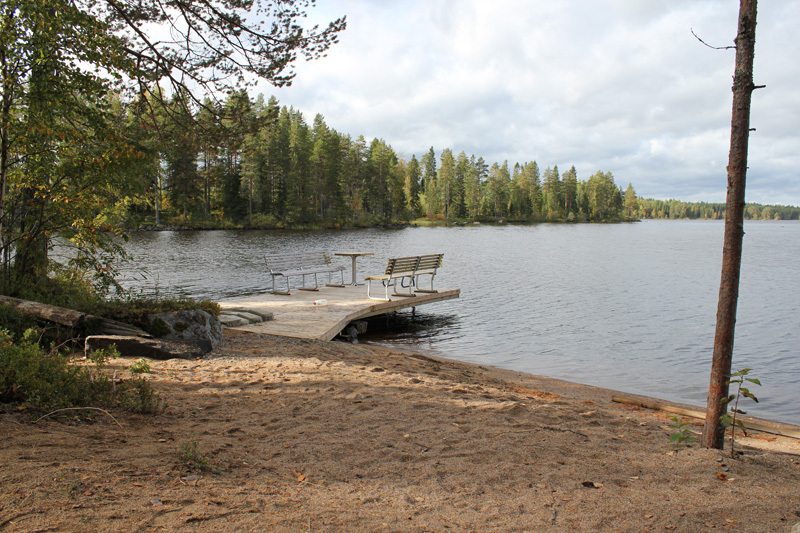 During the winter you can roll in the soft, clean snow or even take a dip in the hole that has been cut into the ice. 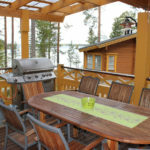 There is also a deck on the shore.